This study aims to identify the prevalence of burnout and associated factors in Brazilian medical students. In the largest medical school from Central Brazil, the Maslach Burnout Inventory-Student Survey and a socio-demographic questionnaire were adopted in this cross-sectional study. Correlations among the three dimensions of burnout were verified. The evaluation of 399 students revealed a frequency of 12.0% of burnout. Women had a higher rate of burnout (8.0%) than men (4.0%). The fifth period had the higher frequency of burnout (27.1%), while the seventh grade had the lower frequency (2.1%). The students showed high scores only in emotional exhaustion (63.2%). Between the dimensions “emotional exhaustion” and “disbelief” found a significant correlation. The fifth period of the Medicine course and the female gender are the most affected by burnout syndrome and therefore, the preventive actions to reduce stress among medical students should be directed mainly at these higher risk categories. The low burnout rate found in our study can attest that the PBL methodology and medical schools strategically located to meet regional demand may represent strategies for the prevention of burnout among medical students. 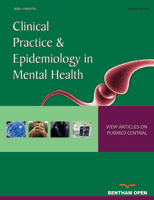 Keywords: Burnout, Medical students, Mental health, Occupational health, Problem-based learning, Psychological responses. © 2018 Barbosa et al.